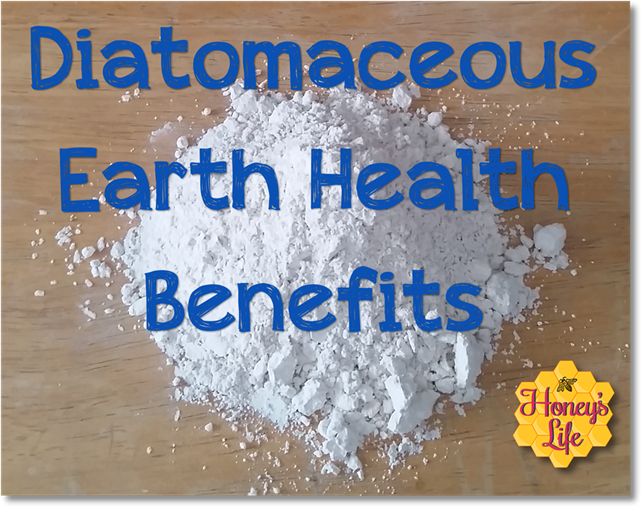 Diatomaceous Earth health benefits are MANY! Studies show it improves low bone density, lowers cholesterol, and may cure e.coli. Not to mention it provides trace minerals which assist the body with utilization of vitamins & minerals which improves your overall health. I’ve also seen how DE has dropped a high blood pressure and studies have shown how it lowers high cholesterol levels. Lowers the bad and raises the good! I’ve also seen and experienced how diatomaceous earth detoxes the body. I highly recommend one not go whole hog when detoxing as it does such a great job on the body…it’s overwhelming. For us diatomaceous earth provides protection from parasites, virus’ and bacteria. We’re rarely ill. Every winter since I was in 6th grade I’ve had pneumonia. Even with our healthy diet and using herbs and oils I’d still end up with ‘walking pneumonia’ which was better but…still not good. It wasn’t until after I went through my first massive detox with DE that I stopped getting it every single winter. Even our animals receive the same health benefits. It helps to keep them parasite free. We give everyone from the chickens to the rabbits to the goats DE. Out of nearly 800 animals and 5 years with a mini farm we’ve never had an issue with parasites and I don’t have to worry about any overdosing or poisoning. I don’t have to call poison control (but you might want to) if the kids get into the DE (which is ALWAYS food grade). I don’t see it anymore dangerous than if they were playing in a bag of flour. I don’t want them to breathe it in but they’ll cough if they do. Do you use DE too? 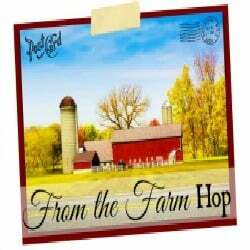 All of the hoppers are awesome but my favorite one is from Carrie at Crafty Moms Share. Her submission was about a book called Pine and The Winter Sparrow. It’s a sweet little book with shades of vintage illustrations. She also includes some ideas and links to other activities to do with the theme of birds and evergreens. Congratulations to Carrie and to the rest of ya!